Water tank cleaning is a very necessary procedure and ideally should be done once every year with one inspection every 6 months. This is especially true for Dubai as the water here is hard, which leads to frequent sedimentation inside your water tanks. Therefore, Dubai Municipality has also recommended water tank cleaning once every year. The water tank supplies water to your household and offices to do your everyday chores like cooking, washing, cleaning etc. if not drinking. Therefore, water tank cleaning should be an integral part of your cleaning routine and regimen. But that might prompt you to ask a few questions regarding water tank cleaning. Don’t worry, today we explain the entire water tank cleaning procedure in detail so that you know what to expect when calling a professional water tank cleaning company in Dubai. The procedure starts with you contacting a water tank cleaning company via phone, email or any other channel. We should emphasize that you should do your due diligence before earmarking a company to disinfect your water storage tanks. A professional company would schedule an appointment to inspect your water tanks. There are a few permits involved to access your community in Dubai. Make sure you ask them how they would manage that or if you’d have to provide some documents and/or approvals. A Certified technician and team should inspect the water tank and determine the scope of work involved in water tank cleaning. He would also determine the technical aspect of the service like number of people required, amount of tools and instruments etc. The professional water tank cleaning company will provide you with a quotation detailing the scope of work required. They should also explain the duration of the service and taxes if applicable. If you’re in Dubai, your water is supplied by Dubai Electricity & Water Authority (DEWA). To perform the water tank cleaning service, your water tank needs to be emptied and technician has to make sure that the water supply is cut-off so that the service may be performed properly and without any hassles. This is generally done 24-48 hours before the scheduled service. ON the day of the service, the water tank cleaning team arrives at an appropriate time and begins assembling the tools & instruments required to perform the service. Depending upon the scope of the tank cleaning service and number of tanks to be cleaned, a team or teams are formed to carry out the service. There will be a team leader who should be at your disposal should you have any questions. Proper signs should be installed so that the residents know that the service is being conducted at the premises. The residents are also informed that they should not use the water whilst the water tank cleaning procedure is being performed as the water that comes out will not be suitable for human usage. Don’t worry, you’d be informed beforehand about this procedure. The service begins by disposing off the excess water present inside the water tanks using high pressure pumps. Then the surface of the water tank is rinsed properly using a sanitizer & cleaning agent. You need to ask the water tank cleaning company about the chemicals that they use in the service as some company also offer chemical-free route. More chemicals would generally lead to greater health risk as this water is to be used to actual consumption. Therefore, it is best to opt for a company that uses as little chemicals as possible. After the cleaning of the water tank, proper disinfection of the water distribution lines (aka the piping system) needs to be carried out. Your water tank may be clean, but the pipes may still be carrying a lot of debris, rust and other pollutants. Therefore, it is very important to clean the whole water system rather than just the water tank. Sanih2o performs the neutralization of the water tank and piping system using Sodium Bi-Sulphite till the acceptable levels of chlorine are achieved in the water. After the cleaning, the waste water is disposed off and the DEWA Supply is turned back on to allow fresh water to seep into the water tank. All the water inside the taps and piping system is drained to let the fresh water to flow inside the pipes. Once the tank is filled, the team leader checks for the water quality inside the water distribution system. Once satisfied he informs the family or residents/occupants of the facility that it is now safe to use water. The team meanwhile performs the restoration which involves packing of the equipment, cleaning of the premises and closing/sealing of the water tank. The team then leaves the premises but not before informing the client about the nature of the service preformed and any tips or suggestions for the customer. You can hire a 3rd party company to validate authenticity of the service by checking your water quality. You can also ask the company that performed your water tank cleaning service about the validation and ask for before and after water levels. They should also be able to provide you with pictures/videos of your water tanks before and after cleaning. 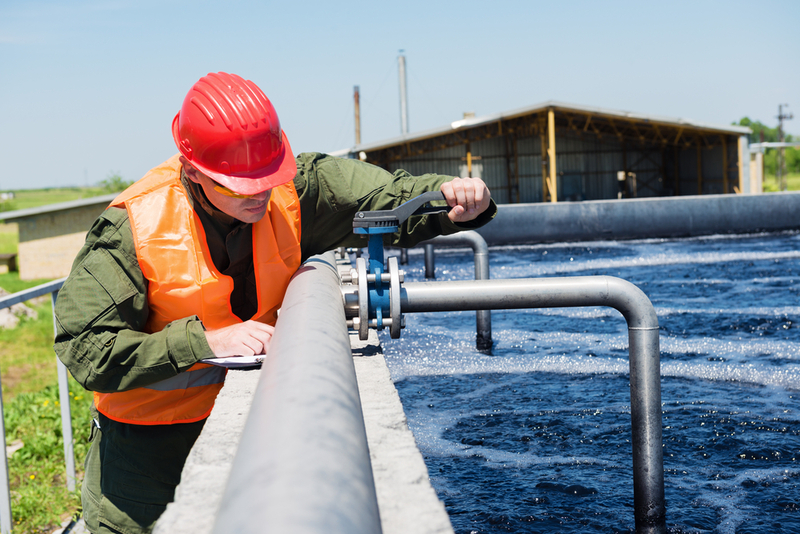 Ideally, you should receive a service completion report which includes a comprehensive report detailing the service work accomplished along with microbiological analysis of water. You can also provide your feedback regarding the service at this point. A professional company would follow up their service after 4-6 months to ensure that the water tank is clean and properly maintained. Meanwhile if you find any irregularity in your water, you may contact them again and ask for an inspection. There should be no charge for the said inspection. The water tank cleaning service is not so complicated. It is in fact one of the simpler services available in the market provided you pick the best water tank cleaning company in Dubai. Now that you know what the service entails, do your research, ask your friends and family about any recommendations and make an informed decision on water tank sanitation.